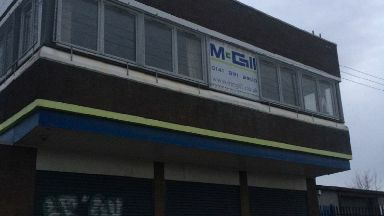 A total of 374 jobs have been lost after Dundee-based McGill went into administration. Dundee City Council has said it will do everything it can to help find a buyer for a construction firm which went bust, resulting in hundreds of jobs being lost. A total of 374 jobs have been lost after building services contractor McGill went into administration. Staff were told the news at meetings in Dundee, Edinburgh and Glasgow. The firm, which serves clients in the residential, industrial and commercial sectors, has its headquarters in Dundee's Harrison Road. The company said a winter slowdown was made worse by customers who refused to pay their bills on time, and that while it searched for funding to reorganise its business it couldn't secure it in time. Dundee City Council described the decision as "frustrating", just months after the closure of the city's Michelin tyre factory, which is set to see more than 850 jobs go. Council leader John Alexander said: "McGills are a company with a skilled workforce and, as I understand it, orders on the books. "I will be working with colleagues to ensure that everything is done to safeguard the workforce by finding a buyer for the group. "I've already, as you'd expect, been in contact with the Scottish Government regarding this situation. "It's clearly another blow for the city after Michelin's recent decision, albeit under very different circumstances. 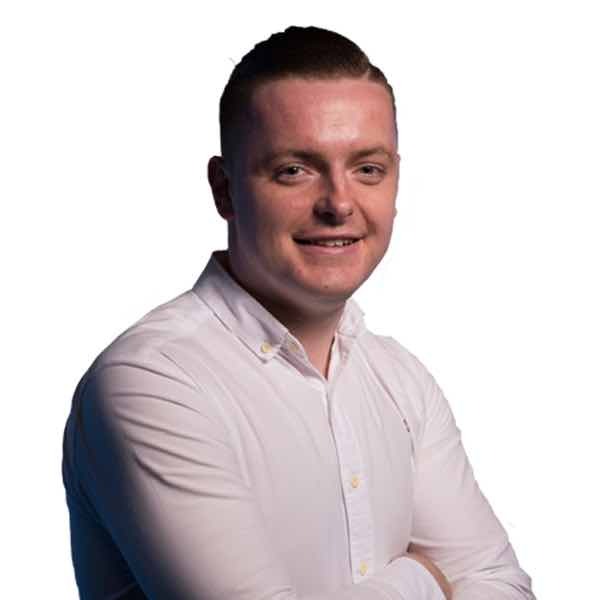 "It's all the more frustrating given recent events in the city and the collective work of the public and private sector to try to create new opportunities and increase jobs. "Sadly, these decisions are not always within our gift but it doesn't make us any less determined to push on in bringing jobs to the city." STV News understands all contract work will be halted as administrators take charge. McGill has operated since 1981 and made a pre-tax profit of £772,218 in the year to September 2017. George Ramsay, Dundee official with Unite the Union, said: "Again we see a blow to Dundee workers. No consultation and being asked to come to a meeting and the doors are closed. It is absolutely shocking. "It doesn't look very good for the company. It seems to be the end. I don't know where these workers will get other work in Dundee in the building trade. There is basically very few builders left here. "They are very angry. Being called into a meeting on a Friday afternoon and being told you are out of work is an angry thing. "A lot of these workers will end up working away from home. 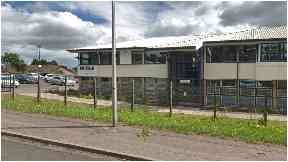 There is no building firm left in Dundee that can take up the slack." Business minister Jamie Hepburn added: "I was very disappointed to learn about the situation at McGill & Co in Dundee and at its operations in Glasgow and Edinburgh. "Scottish Enterprise engaged closely with the company in recent months and has worked with it to try and find a solution to its difficulties. Glasgow: Workers were told in meetings. "I had spoken with McGill's managing director and offered the full support of the Scottish Government and Scottish Enterprise. "Unfortunately, McGill's trading situation changed rapidly which meant a positive outcome solution for the company was not possible. "I am seeking a call with the administrators, KPMG, at the earliest opportunity." Blair Nimmo, global head of restructuring for KPMG and joint administrator, said: "McGill & Co Limited is a well-known, long established business and provides a significant source of employment, particularly in Dundee both directly and through the supply chain. "Disappointingly, market conditions and contract related disputes have required the business to cease trading. We will do everything we can to seek a buyer who may be able to protect some of the business and maximise recoveries for creditors." "We would encourage any party who has an interest in acquiring any part of the business and its assets to contact us as soon as possible." Blair Nimmo and Geoff Jacobs of KPMG LLP were appointed as Joint Administrators of McGill & Co Limited (the Company) on Friday, February 1. McGill & Co was established in 1981 as a specialist building contractor. The company provides services to clients in the residential, commercial and industrial sectors from its headquarters in Dundee and ancillary offices in Glasgow and Edinburgh. The company trades through five divisions; mechanical & electrical services, facilities management; social housing; private residential; fibre & wireless. In recent years, McGill & Co has suffered from challenging trading conditions in the construction sector and has encountered disputes and delays in payment for a number of significant projects. Reduced margins, combined with contract and payment delays and a downturn in billable work during the winter months, left the company with a significant funding shortfall. Following an assessment of the immediate funding requirement, the directors developed a business turnaround plan and approached a number of parties to attempt to secure additional funding. Ultimately, as McGill & Co was unable to secure the funding it required, its only option was to be placed into administration to protect the creditors' position as best as possible. Upon appointment, the Joint Administrators had no other option than to make 374 of the company's 429 employees redundant with immediate effect. The 55 remaining employees have been retained to assist the Joint Administrators to realise the company's assets, including four freehold properties, numerous contracts, an extensive order book and construction equipment. Joint Administrators are rapidly exploring whether an early sale of some of the business and assets can be secured.